Winter seems like a distant memory now and we are enjoying more seasonal weather - the only exceptions being the those days when temperatures soar to high summer levels! 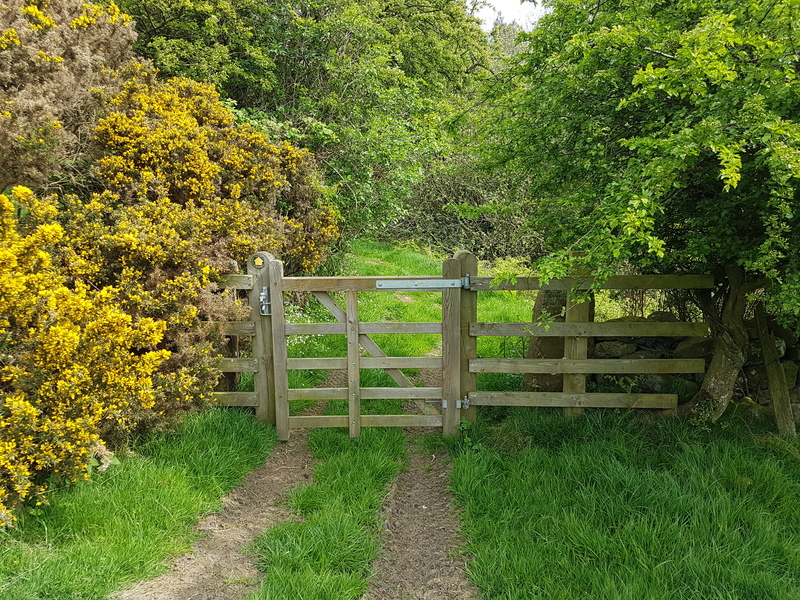 The footpaths have dried up, and our guests are enjoying some of the superb walking to be had in the area, and nowhere is better placed than Skerry Hall for starting your walk. The picture was taken on the footpath crossing our neighbour's field on a picturesque and interesting walk from here to the Bay, following old sunken tracks and trods. We are well-placed for exploring the coast, Whitby and the moors by car, public transport, bike or on foot. Good weather also means that guests are able to enjoy taking tea and cakes on arrival with stunning views from our garden. The early spring flowers are now finished, but everything is lush and the the garden is bursting with interest. If guests are keen gardeners Jan will give them a guided tour of the garden so that they won't miss some of the more interesting and unusual plants. If you are thinking of a weekend away, a mid-week or longer break, we are confident that you will find no better place to stay than Skerry Hall Farm - whatever your interests. See our TripAdvisor reviews to read what our guests have had to say about us!